Sash windows definitely have a very long-standing appeal. When it comes to preserving the architectural integrity of dated and historic properties, there is simply no better window design. Sashes that are double glazed, however, are the perfect fusion of the old and the new. These improved units represent the tight, seamless construction that has been valued for centuries, plus the advanced technologies of dual panes and argon gas. Following are several reasons why double glazed sash windows are so good. Double glazing is a special, advanced form of window design that has quickly replaced, simple single pane windows that were not very efficient at keeping cold drafts out. 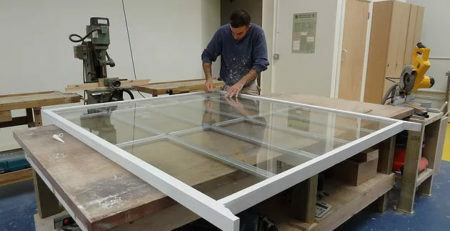 With these, two separate panes of glass are placed within a single pane with a small amount of space in-between them. This space is then filled with argon gas that creates a formidable barrier and functions as an impressive layer of insulation. When properly manufactured and correctly sealed, these window styles can last a very long time. Moreover, they can play a very important role in increasing the overall efficiency of homes. To invest in windows with double glazing is to invest in yourself. That’s because products like these are virtually guaranteed to lower your living costs. Once people make the transition from single-panes to double-glazed options, they immediately notice a significant decrease in their home energy bills. This is because their home heating and cooling equipment has to work a lot less in order to create and maintain the ambient and truly comfortable temperatures that most consumers prefer. In fact, with window options like these, people can also limit both the demand and the related wear and tear on their costly, HVAC equipment. 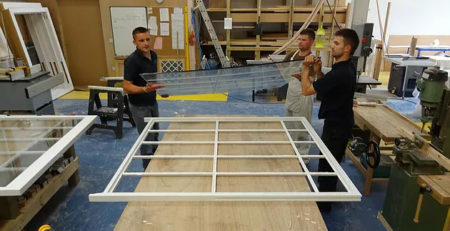 Double glazing techniques can be used on many, modern window styles. 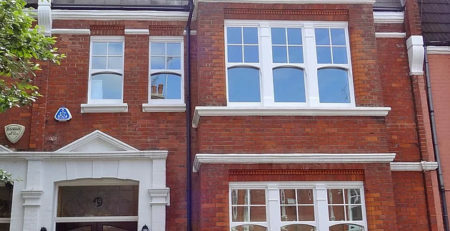 Nowhere is it more beneficial, however, than when applied in conjunction with sash window designs. This is because sash windows are incredibly efficient all on their own. This allows for a truly superior level of insulation and protection as well as greatly increased home security. Sashes have definitely evolved quite a bit since their inception way back in 1670. The advent of double glazing technologies, however, is perhaps the greatest advancement that this particular window style has seen. One natural and well-known benefit of sashes is the fact that they are capable of providing a heightened level of overall home security. In fact, this actually remains true even when these windows are partially opened. This is because homeowners have the option of locking them into their fixed positions even as they remain ajar. As such, people can enjoy the cooling breeze of a good cross draft without fear of letting in intruders. This means that they can enjoy the fresh, night air, even as they sleep, and can still remain safe in their abodes. Not only is it possible to lock these units while they are still open, but there is also the benefit of having intruders be kept out by the glazing bars that are in place, especially when these are paired with relatively small-sized panes. Many traditional sash styles are made up of multiple panes and thus, if one gets broken out, it will not create a space that is large enough for entry. Having two panes of glass with an argon filler adds an additional measure of security by making it unlikely that panes will be broken in the first place. This blending of the old with the new has allowed for a remarkably higher level of overall home protection. Beyond boosting the efficiency of homes and making them more secure, these advanced construction techniques have allowed for a number of modern benefits that savvy homeowners are certain to enjoy. For instance, many of the latest, double glazed styles can have built-in features in the glass for blocking out harmful UV rays. This keeps homeowners protected from sun damage while they are relaxing in their abodes. It can additionally prevent the fading of colors from flooring and furnishings in areas with lots of natural light exposure. 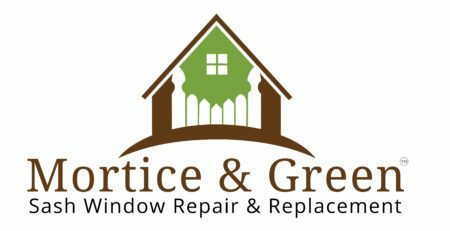 People who want to invest in environmentally-friendly window designs can get everything they could possibly need from solutions like these while significantly minimizing their carbon footprints. These windows greatly limit the amount of energy that households have to consume throughout the years and yet, they can also be made in an entirely sustainable fashion. Their all-wood frames can be made from hardwood that has been sourced from ethical suppliers. More importantly, given the enduring characteristics of the end results, it is unlikely that most households will have to replace these units within their lifetimes. There are a number of people who own historic properties and who love the aesthetic value of these authentic, architectural wonders. The ornate and delicate beauty of a Georgian home and of Edwardian and Victorian properties cannot be overstated. Keeping true to the original construct of these properties means having to maintain or restore many of their most basic features. With double glazed sashes, however, homeowners do not have to forgo increased energy efficiency in the process. They can take advantage of the most popular innovations in window and glass technologies to lower their energy consumption and create safer and far more comfortable living spaces overall. This is especially good news for these individuals if their dated properties lack the built-in ductwork that is absolutely essential for supporting central home heating and cooling systems, which is often the case. This is because sashes are known for providing truly superior levels of both ventilation and air flow. People can crack these windows a very small amount to generate an impressive and quick-cooling cross breeze that can all but eliminate the need for any electric cooling system. When considering the benefits of these upgraded sash designs, however, it is also important to think about the considerable impact that they are bound to have on property values. While many buyers are certainly attracted to historic homes, they also enjoy having access to modern innovations. With sashes that feature double glazing, these individuals can beautiful abodes that are just as efficient as many of the latest options in new construction. This allows for higher resale values and significantly increased marketability all around.